"CHiPs", what you can say. 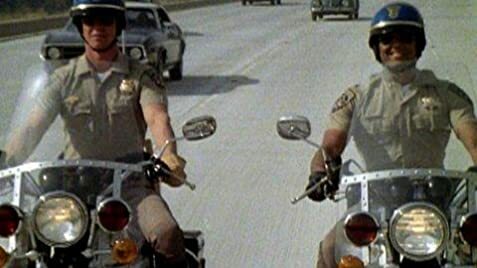 The California Highway Patrol got the best PR they could ever hope for in this classic buddy cop show from the 1970s. Built on comedy and riveting freeway chases, Larry Wilcox and Erik Estrada starred as officers Jon Baker and Frank "Ponch" Poncherrello. The series immediately found an audience, especially with children because of it's fantastic car chases and entertaining action stunts. It was guaranteed that a car would flip over or someone got thrown off a bike or flopped face first into cement in every episode. It didn't matter if they were so obviously staged, no one else was doing such things back in those days so it was fun to see it on CHiPs. There just had to be chase on the freeways in each episode, and they surprisingly hold up today. I guess a high speed chase at over 90 mph in 1977 is the same as one that happens in 2007. That's another thing, watching this series it's amazing how little life in North America has changed in the past 30 years. Only the fashions, music and obviously some media oriented (internet, fast computers, flat screen plasma and LCD TVs, palm pilots, etc, etc) electronic technology has changed. Otherwise look at how life in 1977 is still so much the same as 2007. It's weird watching Ponch and Jon today and reflecting that I'm now around the *same age* (freaky!) as those guys were back then (late 20s-early 30s). I see them in an entirely different light today then when I viewed this show as a child, as I can relate to more of their life and understand their still relatively young adult problems. CHiPs had a tendency to be cheesy, especially with the way Erik Estrada hammed it up as Ponch. But who cared, Estrada and Wilcox had terrific on screen chemistry (even if they didn't get along in real life), that you just were glued to TV to watch these guys chase bad guys. The corny nature of the show has famously turned off people who were older and "too cool" during CHiPs run, but they missed out on a great TV show if only had they been children. Who cares what they think now anyway, they're old farts in 2007. Although CHiPs was clearly a '70s TV show, it actually ran over into the early 80s and in my opinion probably found it's massive cult audience in the 1980s. CHiPs was rerun ENDLESSLY in the '80s. It was on every freakin' day, Monday-Friday. Home sick from school? Watch CHiPs. Holidays? Make sure to watch CHiPs. And of course the summer months, watch CHiPs, usually airing at 8am or 4pm, sometimes both timeslots. Rainy days were and still are great for CHiPs viewing. Basically what I'm saying is that this is a show that didn't have a lot of depth to it, which is why children were so hooked onto it. 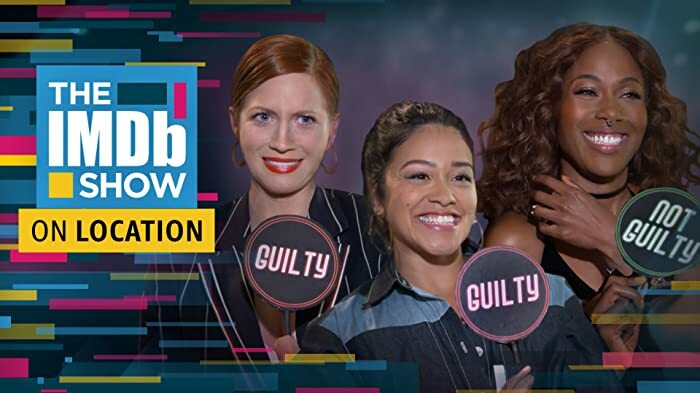 It makes fantastic viewing for anyone that wants to pass the time with nothing but pure TV entertainment, with enough adult sensibilities going on to make it still very watchable. I slightly missed the original run of CHiPs, either I wasn't around or was too young, but I grew up as a child in the 80s and every single damn summer I watched CHiPs. I wasn't alone, every kid who was 12 and under in the 80s watched this show during the summer months. What an awesome way to pass an hour when you had no school. The cops never drew their guns and the violence was almost non-existent, this is a series that could never be made today. You got the day off from work and it's raining outside, time to watch an episode of CHiPs. Erik Estrada suffered a very serious motorcycle accident while filming an episode. Until he recovered, he literally shot scenes from his hospital bed. Officer Jon Baker: I'd like to nominate my partner, Frank Poncherello. Officer Francis Llewellyn 'Ponch' Poncherello: Hey, that's great. 'Cause when we first met, I was on a dirtbike. Officer Jon Baker: Uh, no, Ponch. When we first met, you had just fallen off a dirtbike. Throughout the series and regularly in later seasons, car crashes were shown involving vehicles getting airborne after rear-ending another vehicle. This does not happen in actual crashes. In some scenes the ramps used to launch the vehicles are visible. After completing five seasons, CHiPs was sold into syndication in the fall of 1982. To help avoid viewer confusion between reruns and new episodes, MGM re-titled it CHiPs Patrol. This was redundant, as "CHP" is an acronym for "California Highway Patrol," making the complete series name California Highway Patrol Patrol.